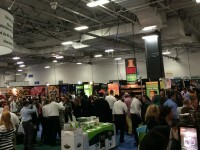 Wexler Packaging Products, Inc. was a proud exhibitor at Kosherfest 2014 for its fourth consecutive year. The show was held at the Meadowlands Convention Center in Secaucus, NJ November 11th & 12th, 2014. Our Team made some great connections during the two-day exhibition. Located in Booth #128, Wexler served as a central information hub for alternative bundling and labeling solutions. Shrink wrapping systems gained a lot of attention, stealing the spotlight this year. Attending manufacturers were increasingly interested in both semi and fully automatic shrink wrappers and tunnels, viewing these systems as a viable solution for primary and secondary packaging as well as bundling items. Linerless Labeling Systems were popular among attendees as well, specifically within the “ready-made” meal sector. 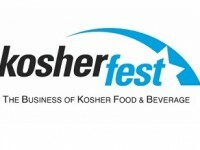 Kosherfest 2014 featured over 350 certified kosher food and service producers, distributors and suppliers in attendance, making 2014 another successful show. Wexler Packaging Products will be exhibiting next year at Kosherfest 2015. The show will again be held at the Meadowlands Convention Center in Secaucus, NJ, and will take place November 10th & 11th, 2015. Please check back at a later date for more details, including booth information.